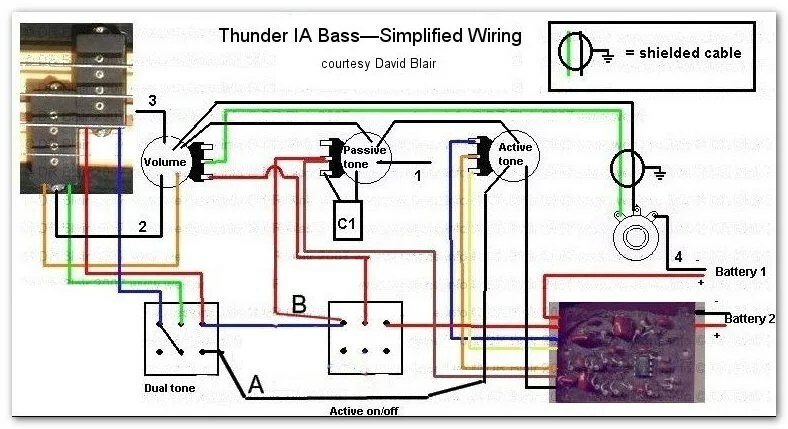 This is a diagram of a 1982 Thunder IA bass. 1 -This is the ground wire to the bridge. Wire A now runs directly to the body of the active tone pot. Since all the pots and switches are mounted on a metal plate, if any one of the pot or switch bodies is grounded then they all are. 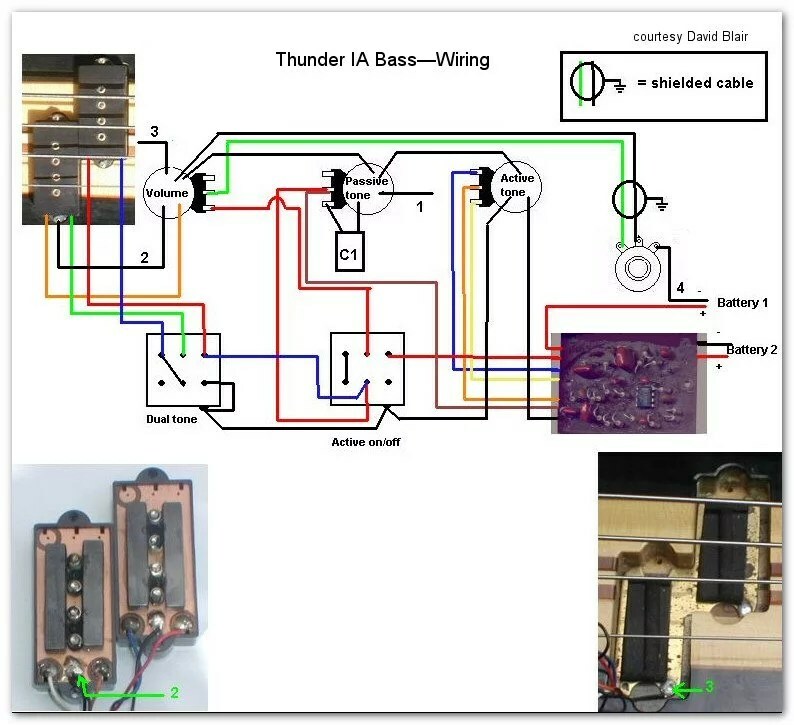 There is absolutely no need to solder this wire to the switch bodies as well.